The white writing barely shows, and I think it needs more, however this is where I left it today. 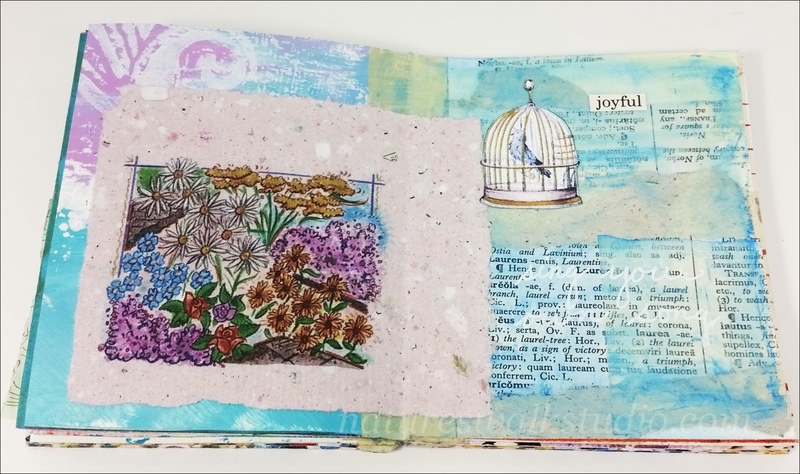 two very lovely and very different journal pages - I love the vivid colours in the second one - makes me long for warm summer days! Beautiful!! Really pretty spread and the new one coming can't wait...love the vibrant colours! 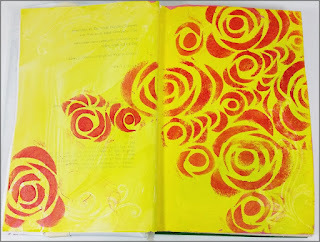 Lovely spreads, and I especially like the first one, those colors resonate strongly with me. both really lovely pages. Happy PPF! 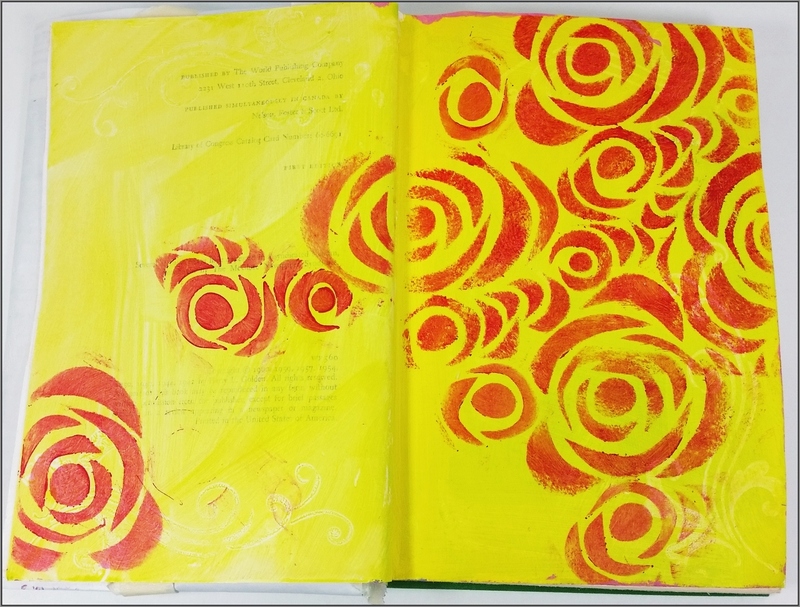 Your journal pages are great. I especially love the yellow one. It will be fun to see where it goes. Happy PPF! 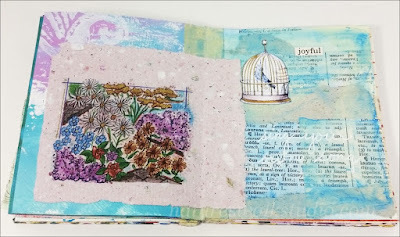 Both of your art journal spreads look great. I enjoyed clicking for the close up views!